In the early seventeenth century, moving goods and travelers around the world was big business; it was an excellent way to find adventure, make a fortune or even become famous. On the other hand it was also an excellent way to lose one's freedom, loose a fortune or lose one's life. International trade affected Florentine glassmaker Antonio Neri in at least two major ways; first as a consumer of exotic materials and second as a traveler. Land routes were plagued by highway robbers, corrupt officials and a host of other problems that included keeping perishables viable over long journeys, keeping pack animals in good health and navigating unreliable roads. Transport by sea promised a potentially quick journey, but at the risk of bad weather, water damage and the dreaded scourge of pirates. In early 1604, Neri traveled to Antwerp to visit his friend Emmanuel Ximenes, who as it happens was himself an international banker; he provided the financial backing for trade expeditions to the Far East, Brazil and Africa. His extended family ran what today would be recognized as a vertically integrated corporation. The control of raw materials, to the supply chain, through to finished products was under the common management of the family. It is an open question if the Ximenes family supplied Neri with materials for his work in Florence, but it is undoubtedly the case for his seven year long visit to Flanders. With Ximenes extensive shipping connections one might well ask why Neri did not take a boat from the Medici’s port of Livorno near Pisa, sail to one of the Spanish or Portuguese ports, where Ximenes had family and then on to Antwerp which was, after all a Spanish domain. It would be faster and one might think safer, weighed against the very real perils of violence, highway robbery and a host of other dangers when traveling by land. The sea route, however, was in fact far more problematic and dangerous. The Mediterranean was teeming with pirates and privateers. Privateers were state sponsored raiding parties, who commandeered the trade ships of their enemies and split their bounty with the government, often stranding the crew or selling them into slavery; it was a very lucrative enterprise, even if often short lived. Pirates, on the other hand, were independent operators, commonly they were former navy men who had lost their commission or otherwise ran afoul of their sovereigns. Basic equipment for any pirate was a chest of flags of the various nations. For any ship encountering another vessel on the high seas running under the same flag, the very first order of business was to ascertain if it was a friend as presented or a foe in disguise. An elaborate series of secret signals would follow. To complicate matters, the signals were sometimes compromised or changed without notice. For the Spanish treasure ships returning from South America, evading pirates in the Caribbean at the start of a journey was matched by similar perils the last few days before making port in Spain. Tuscan and Venetian ships were in conflict with the Ottomans, but did conduct trade with them through intermediaries. The Dutch were undercutting Spanish deals in the Far East, while the Spanish paid cash bounties for any ship caught trading south of the equator. Meanwhile, the English were at war with the Spanish, trading with the Ottomans, but amicable with the grand duke and Tuscany. The Barbary Coast in Tunisia was a popular haven for pirates. Infamous at the time was Captain Jack Ward,  an Englishman who found shelter with the Ottomans through the local governor  to whom he paid ten percent of his bounty. Ward with his crew had converted to Islam and caused no end of grief to all European shipping. This included traders from Spain, the Netherlands, Britain, France, Tuscany and Venice. Ward had amassed a fleet of his own based on the African coast near Italy in Tunis. From here he conducted operations as far north as Ireland, running them under the Tuscan flag as well as numerous others. Despite all these issues, for Neri, the biggest impediment by far to traveling by sea or by land was that he was heading into a confrontational hurricane. Antwerp was the calm at the center of a bloody war that thrashed and destroyed the surrounding countryside. The Dutch fleet had blocked the city port on the Scheldt River and opposing armies clashed in a great ring around the Low Countries. This is what Emmanuel Ximenes was alluding to in his letter of December 1602 when he said “the lack of peace in these countries prevents me from recommending them for you to come or not”  The northern Netherlands were in the midst of a war for independence against Spain and the Holy Roman Empire. These two superpowers of Europe were governed by the same tightly-knit Habsburg family, who at the time controlled what are now Portugal, Spain, Southern Italy and Flanders on one side of the family; Germany, Austria, Hungary and Transylvania, on the other. At the same time, the region had become a haven for formerly Jewish "New Christians" (like the Ximenes family) after their expulsion from Spain. The city was blocked from sea trade by their Dutch neighbors to the north and armed confrontations with imperial troops from the south demolished surrounding towns. The conflict threatened to spill into the city for which Neri was bound. 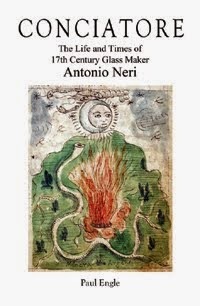 The other way that international trade affected Neri was through the materials so necessary to glassmaking, to medicine and to his other alchemical activities. As our priest makes clear in his book, the quality of ingredients must always be tested and assayed before purchase or use. Unscrupulous merchants could and did mix or dilute expensive materials with inexpensive fillers and made unreported substitutions. The level of mistrust over imported ingredients can be better appreciated through an understanding of just how chaotic life was on the high seas. Even generally honest traders might turn to deceptive or otherwise questionable business practices when faced with the staggering losses of an entire ship and its contents. As the first decade of the seventeenth century unfolded, the pirating of trade ships turned into a well-organized and quite profitable occupation. Operations blanketed the entire Mediterranean and the eastern Atlantic from the Canary Islands to Ireland, which as we have seen complicated Neri’s travel arrangements in the region. Captain John (Jack) Ward was based in the Algerian and Tunisian Barbary Coast and commanded a formidable armada. Dutch born Zymen Danseker (Simon the Dancer) specialized in raiding Spanish and Portuguese trade ships. Much to Spain’s dismay, the Dutch set up outposts in India, Africa, Asia and the Americas circumventing the Habsburg’s previous monopoly. As pirating became endemic, friction started to build between competing interests. 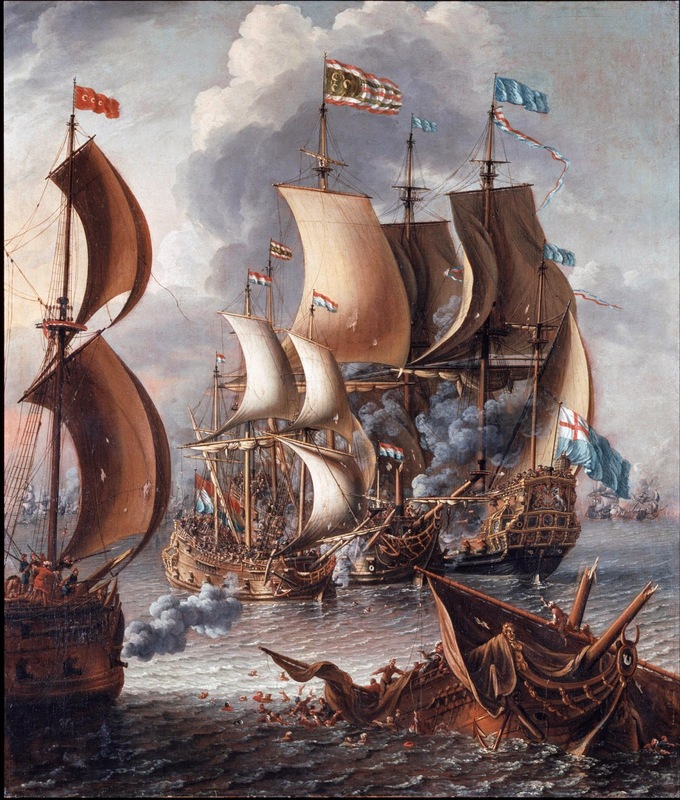 The British and the Florentines clashed often in the Mediterranean. The grand duke employed English mercenaries to harass Turkish (Ottoman) vessels. The Ottomans were valued trading partners to the London based Levant Company. The Ottomans, upon seeing a ship manned with Englishmen, did not know whether to extend a welcome or to prepare for a fight. Meanwhile, from his Barbary base of operations, Captain Ward continued to take British ships, strand crews and reap the rewards. All the while, he seemed to enjoy an indifferent if not outright amicable relationship with Grand Duke Ferdinando. This “understanding” developed after the sound thrashing Ward received, in 1607, at the hands of the Knights of Malta and the Knights of Saint Stephen. Once a pecking order was established with Florence, Ward did very well for himself. In June of 1608, the following description was given at court in London and then repeated to the Venetian senate through their ambassador. This "idiot" outlived many of his detractors, evading capture and sleeping late until the ripe old age of seventy. For a man of his occupation this was a remarkable accomplishment. Reports claim he succumbed not to the sword of a British officer, but to the ravages of the plague in 1622. Jack (alias John, Birdy) Ward (c.1553–1622),Also known as Siemen Danziger, Zymen Danseker, Simon de Danser, Danziker, Dansker, Danser and later after conversion to Islam, Yusef Re’is or Reis. Ximenes 1601–11, 5 Decembre 1602. For an excellent synopsis of the historical events leading up to the 80 years war see Christman 2005. Brown 1904, (no.268 ), 23 June 1608; see also (no. 2), 6 June 1607; (no. 7), 11 June 1607; (no. 33), 21 July 1607; (no 34), 25 July 1607; (no. 112), 15 Nov 1607; (no 319), 4 September 1608.